The area of Greenwich, South of Post Road, includes a large part of the downtown area, Indian Harbor, Mead Point, and Belle Haven. The South of Post Road area is defined by Cos Cob to the east, Port Chester, New York to the west, East and West Putnam Avenues to the north, and Long Island Sound to the south. Residents of the South of Post Road area of Greenwich have quick access to shopping venues, restaurants that rival those found in Manhattan, the Metro North Railroad, and I-95. The city of Greenwich is in Fairfield County, Connecticut. Greenwich was named for “Greenwich”, a borough in London, England, and home to the Prime Meridian. The beautiful, town of Greenwich, Connecticut is known as “The Gateway to New England”. Greenwich experienced a metamorphosis in the twentieth century when it went from being a rural farming and fishing community to a sophisticated suburban area. Greenwich became home to businessmen and their families seeking a more peaceful life in the country. Greenwich soon became a bedroom community for New Yorkers. 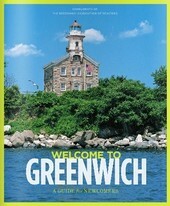 At the time of the 2010 census, Greenwich had a population of 61,171. Some neighborhood in Greenwich are: Old Greenwich, Cos Cob, Riverside, Belle Haven, Pemberwick, and Byram. Greenwich has a total area of 67 square miles with almost 48 square miles being land and a little more than 19 square miles of water. 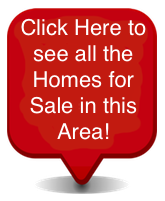 Co-ops, condominiums, townhomes, and single family homes are the types of real estate available on the market South of Post Road, in Greenwich. The average listing price for a co-op is approximately $551,795, but some have recently sold for as much as $1,350,00. The average listing price for a condo is $1,474,835 but prices can go up to $4,995,000 for larger condos with more amenities. The average list price for a single-family home is about $4,210,391 but prices can go as high as $49,895,000 for luxury homes on multiple acres and those on the waterfront. Homes South of Post Road come in a wide variety of sizes and architectural styles. Contact us today to answer any questions or to schedule an appointment to see any of our properties in the many picturesque villages of Greenwich, Connecticut.